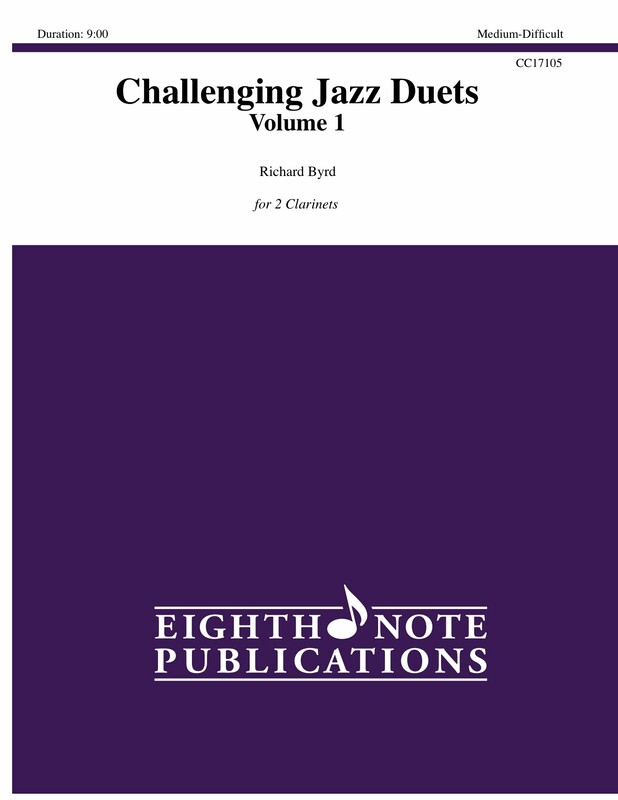 Challenging Jazz Duets Volume 1 is a set of 5 jazz duets for players of multiple combinations of instruments. The purpose of these duets is to provide players challenging jazz duets based on the chord changes to standard jazz tunes. The titles of these duets are an obvious allusion to the titles of the standard jazz tunes: 1) Riding the Rails (Take the A Train), 2) Red Salsa (Blue Bossa), 3) In a Mellow Way (In a Mellow Tone), 4) Singing for Pops (Song for My Father), and 5) G-Man Blues (standard concert F blues).